It was the Olivier Awards last Sunday and we were there backstage to interview the winners! Including, Kyle Soller, Patsy Ferran, Chriss Wally, Monica Dolan, Jonathan Bailey and Pattie Lupone as well as the producers of Come From Away and Marianne Elliot who directed Company and Chris Harper the producer. Warning today's podcast does contain squeals of delight! There is no podcast this week as we are at the Olivier Awards! But come back next week for all the backstage gossip and interviews with the winners. This week Alice is on holiday and has left her podcast in the capable hands of Ruthie Henshall who decided to interview not one person, not two people, but 6 queens! 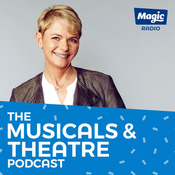 Yes this week Ruthie Henshall is chatting to Jarneia Richard-Noel, Millie O'Connell, Natalie Paris, Maiya Quansah-Breed, Grace Mouat & Vicki Manser who are the Six wives of Henry VIII in the Olivier nominated musical Six. Julian Bird is back again for part 2 of his chat with Alice about the Olivier Award nominations. This week they are discussing the nominations in the plays category and Julian gives a sneak peak in what we can expect to see on the night! With the Olivier awards fast approaching, this week Alice sat down the Julian Bird the Chief Executive of the Society of London Theatre to talk about this year's nominations. In In Part 1 this week, they are discussing the nominations in the Musical's and Opera categories. 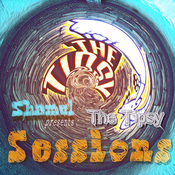 Lyt til Magic - The Musicals & Theatre Podcast, Tipsy Sessions og mange andre stationer fra hele verden med app'en radio.dk.